We offer face protectors mainly for ICE HOCKEY, but also for other sports such as FLORBALL, RINGETTE, HURLING and others. In our offer you can find two types of visors: VISION16 and VISION17. Both models can be made in three different shapes and colors. The VISION17 is a TOP product made by BOSPORT s.r.o. This model has a many advantages like great design, best optical quality, thanks to this visor has zero distortion, a specially modified down edge which becomes invisible while playing, and protective caps hiding the screws- that can be printed the logo of your brand, your team, or your business partner. Protectors are manufactured and tested according to the European standard EN ISO 10256, which sets the conditions for the production of head protection equipment for ice hockey. Full face protector CONVEX17 is new to 2019. It is a unique design with the new VISION17 visor with perfect optical quality. CONVEX17 is made from STAINLESS STEEL and in junior (M) senior (L) sizes. If the visor is not scratched, the visor is almost unbreakable. The visor can be replaced with a new one. On both sides of visor are special fogs- antifog from the inside and antiscratch from the outside. Only one difference from his brother which is from stainless is that this cage is made from TITANIUM ! It more than 30% lighter than stainless version. Full-face protector with very interesting shape and design. The Convex is made from STAINLESS STEEL in sizes junior (M) and senior (L). This product is made of high-strength polycarbonate by injection molding, in an optically perfect form, guaranteeing a perfect optical quality. If the visor is not scratched, the visor is almost unbreakable. It is possible to replace it with a new one replacement visor. Anti-fog layer are applied from the inside and from the outside is anti-scratch layer. 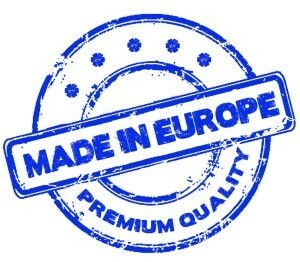 The MasterGUARD product is made exclusively in the Czech Republic. This is a full-face plastic only shield, made from highly durable polycarbonate, intended for ice hockey, hockey ball, in-line hockey and similar sports. MasterGUARD is made in senior L size, but it can be reduced down to junior M size when fitting to the helmet. The maximum size of the replaceable visor guarantees excellent visibility, perfect peripheral vision and the maximum field of view when looking out through the shield. The visor itself and the frame are manufactured using the polycarbonate injection moulding method, on an optically perfect mould, which guarantees perfect optical clarity, which is constant for all pressed pieces. The visor frame and visor are manufactured in two colours – black ice and clear. The visor has a special surface treatment applied – micro anti-fog and anti-scratch layers are applied to the interior and exterior respectively, and protect the shield against abrasion and limit fogging. These hard varnishes, of a thickness of 5 microns (0.005 mm), which are permanently applied to the visor, cannot be washed off with water or damaged by solvents or various chemicals. The great advantage to the MasterGUARD protector is its extremely low weight in comparison to guards containing metal elements. This cages are compatible with all types of ice hockey helmet. New modern shape made from STAINLESS STEEL. High-quality and very light design, foam chin-guard. Made in three sizes: BOY, JUNIOR and SENIOR. All types of cage and eye shield are manufactured and tested according to the European EN ISO 10256 standard, which determines the conditions for manufacture of protective head equipment for ice hockey. STAINLESS and TITANIUM cages for ice hockey masks. This grid is made in two designs. BM101 is called “Cat eye”. The second type is the BM102, which represents the classic goalie grid. Both of these grids are welded with the latest computer technology and are made from high-strength STAINLESS STEEL wire. Due to the technology, both products are guaranteed a lifetime warranty. The flat stainless steel wire allows even better viewing of the goalie through the grid and increases the resistance to the flying puck by 20%. Grids are tested for tensile strength, which is min. 300kg for each single point. They are further tested for a hockey puck shot at a speed of 200km / h without damage. Both types will be offered in different colors – glossy, matt, white, black and gold. The gold color is plated with 24 carat gold (the guarantee of true gold). These products are suitable for use on all Bauer NME masks. The advantage of this neck protector is its low weight and perfect airiness thanks to its special holes, which create a very interesting design. This protector is the lightest in their class, and its weight is 98.5g. Thanks to the materials used and all-round relief and ribbing, the protector has great strength and flexibility and is highly shock-resistant. The neck protector was tested after cooling to -25 ° C. C, with a puff of 200 km / h, and this test resisted without damage. With the creation helps many goalkeepers from hobby to proffesional leagues, and was made according to their requirements and comments. Produced in junior and senior sizes and multiple color variants. Together with standard products, we also offer all accessories such as convex and masterguard replacement visors, assembly sets for visors and cages, large service team kit, cleaning emulsions and antifog etc. In our portfolio you will also find products for other sports. From series production, our products can also be used for hockeyball or in line hockey. But we can also produce special protectors for other sports. FLORBAL– One of the most similar is floorball, where we produce from a thin but high-strength grid wire for floorball masks. RINGETTE– Another of our products is a full-face protector for ringette. It is very similar to our Ice Hockey Convex, but more wire is used due to the rules and standards of the sport. HURLING– Another sport that our product demanded is Hurling. This Irish national sport is very fast and the ball can fly at 150 km / h at speed. Like all our products, the grid is made of stainless steel and the visor is like Convex made of highly resistant polycarbonate.